Magister Ludi is a comedic game about our role in escape, that is a touring installation and is now available for the iPad, and online (update: May 2015. Due to changes to Chrome where Unity web player cannot be used, view in any browser but Chrome). 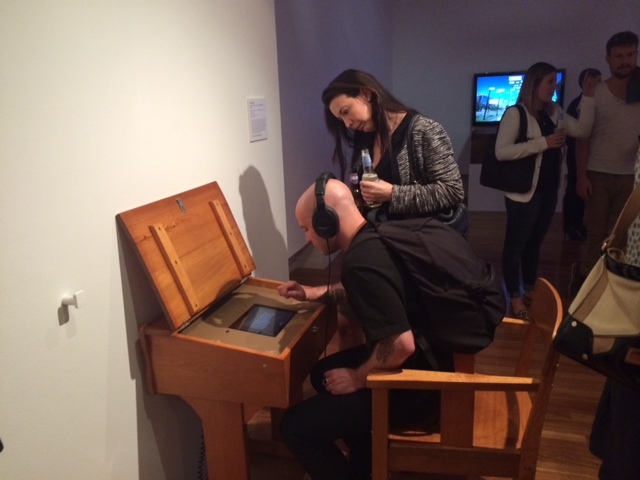 The game was commissioned for Experimenta’s 2015 International Biennial of Media Art: Recharge, and was also in the Official Selection for the 2014 Freeplay Independent Games Festival’s Parallels event at ACMI, Finalist for the 2016 ‘Digital Narrative’ Award, WA Premier’s Book Awards, and Finalist for the 2015 International New Media Writing Prize. 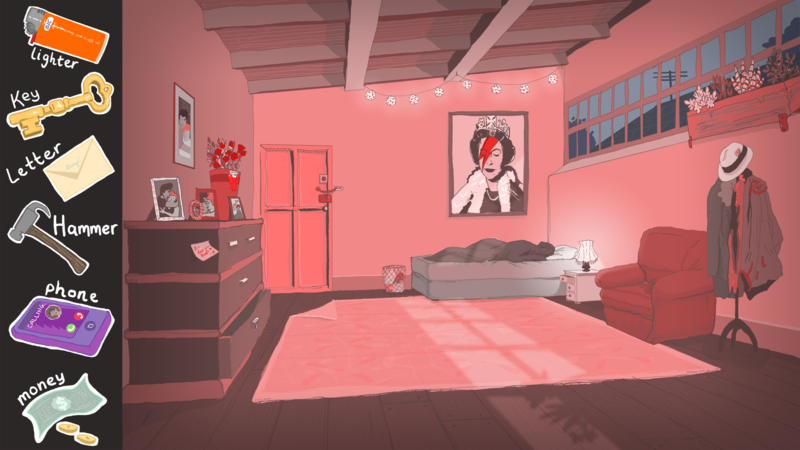 “Magister Ludi” is an online game and installation that puts a twist on the escape-the-room genre with a wry narrator and design that interrogates our role in needing to escape. It is informed by my experience in getting through a PhD, getting over an abusive relationship, and getting away from poverty. It is about the thought-processes that stay with you long after the problems aren’t around anymore, and so you don’t truly escape until you deal with them. The title is an allusion to Herman Hesse’s Nobel-prize-winning novel “The Glass Bead Game,” and Magister Ludi plays with the idea of the conceptual game depicted in the novel. It launched in the exhibition and online in late November, 2014. I did an artist talk at The Glasshouse on Thursday 27 August for a panel discussion with Jonathan Parsons, Artistic Director of Experimenta, and artists featured in Experimenta Recharge; Svenja Kratz, Christy Dena and Cake Industries. Featured in Cara Ellison’s ‘Embed with Games’ book launch at Babycastles in New York on 23rd Nov. The book includes interviews with myself and the artist Marigold Bartlett about the game. Magister Ludi is currently touring around Australia. 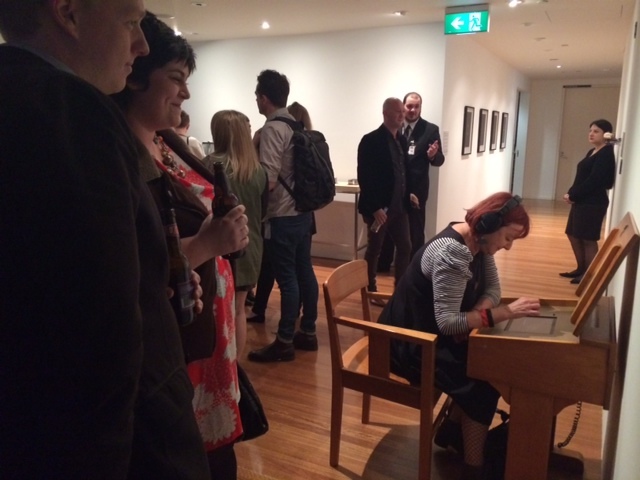 It opened at the RMIT Gallery in Melbourne, and was a part of White Night Melbourne. 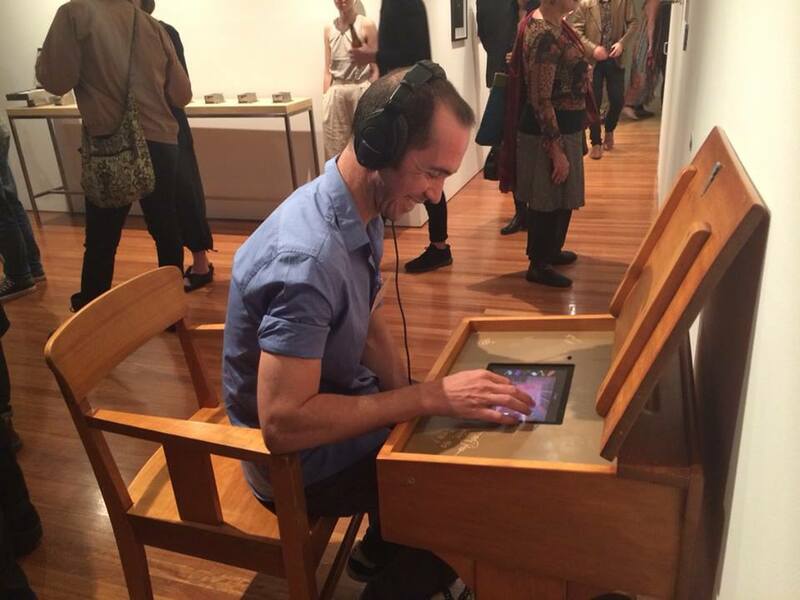 It has recently toured the Mildura Wentworth Arts Festival for 5th March-12th April; and next travels to The Lock Up Cultural Centre [Newcastle Historic Reserve Trust], Newcastle from 12th July – 9th August 2015. Drawing on the escape-the-room phenomenon, I created a space that is about escape. However, since I wanted the emphasis to be on our role in needing to escape I changed the mechanics. Instead of solving puzzles through opening objects and moving them around to unlock puzzles, the player places objects in the room. The movement of objects is further complicated by what they mean. So the player needs to see whether adding to the room (or taking away) actually helps them or not. Indeed they’re not really escaping a room, instead they’re constructing their world in a manner that either denies their needs or places them on the path to self-sufficiency. Is this game available for PS4? Thank you for the inquiry! But it is only available as an App.